World Golf Hall of Fame member was one of the most victorious LPGA players, with 35 tours to her name. 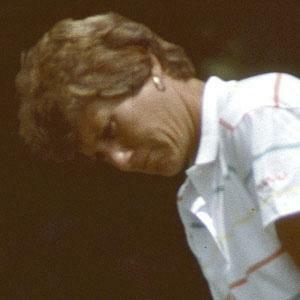 She turned professional in 1980, and won her first tour by an impressive four strokes in 1981, on her way to becoming LPGA Rookie of the Year. She won six LPGA major championships between 1982 and 1996, and finished in the Top 10 of the money list almost every year during that span. She and her partner Rebecca Gaston adopted two children. Se Ri Pak was another World Golf Hall of Fame inductee from the LPGA.